The F3 Freeway functions as the primary inter-city link between Sydney and Newcastle. 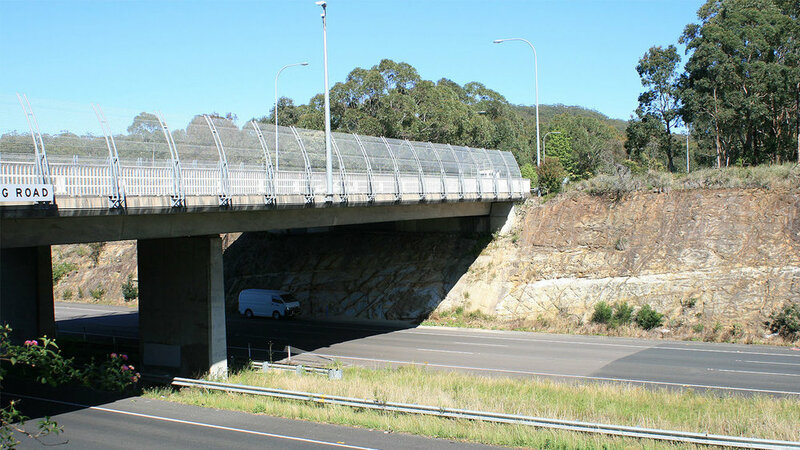 The Wyong Road Interchange provides the primary access from the 6-lane Freeway to the Central Coast region via the 4-lane Wyong Road. RMS upgraded the interchange as part of the forward planning for growth in accordance with the Central Coast Regional Strategy, which provides for an additional 100,000 people in the region by 2031. 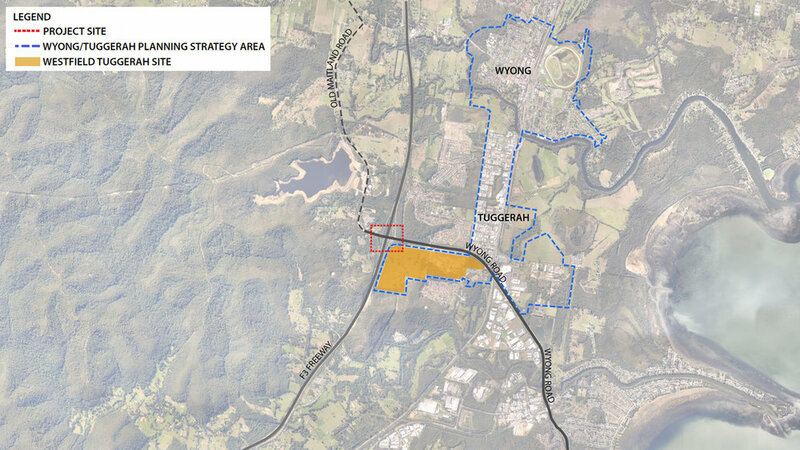 The upgraded Interchange provides a critical link between the Sydney-Newcastle F3 Freeway and the Tuggerah-Wyong Urban Centre. 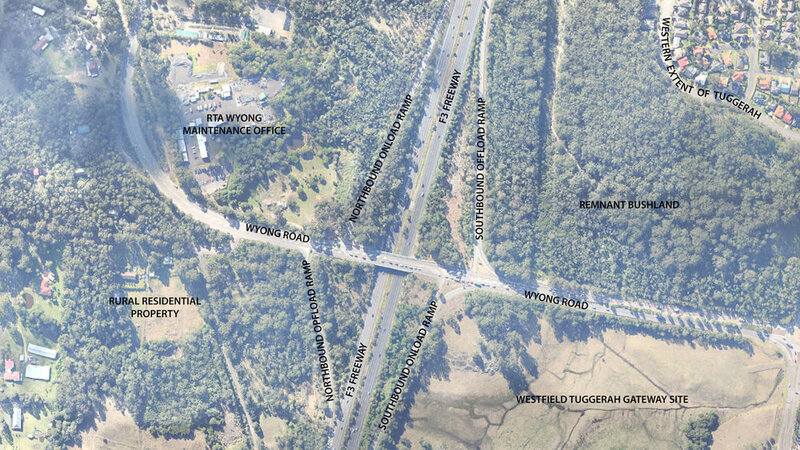 The upgrade works included relocating the northbound and southbound on and off ramps, creation of a signalised intersection and roundabout, construction of a commuter car park adjoining Wyong Road together with extensive landscape works. We carried out a visual assessment of the proposed upgrade works in parallel with the road design of the upgrade, working in collaboration with Peter Andrews & Associates. A landscape concept design was then developed, designed in detail and documented to form part of the construction works. The Visual Assessment formed part of the Review of Environmental Factors (REF) that was prepared by GHD. The methodology that we followed was in accordance with RTA ‘Environmental Impact Assessment Guidance Note: Guidelines for landscape character and visual impact assessment.’ It included identification and description of landscape character zones as well as an assessment of the potential visual impact on the landscape character. We also considered the potential visual impact of the proposed works on motorists travelling through the intersection as well as those living or working in adjoining areas. A key recommendation to mitigate potential impacts was to implement extensive landscape works integrated with the detailed road design. A landscape analysis was carried out and a landscape design concept prepared. We then proceeded with detailed design and documentation of the landscape works. The landscape design emphasized the use of indigenous plant species that are visually related to the adjoining remnant woodland vegetation while creating a distinctive visual character to the interchange. Particular attention was paid to road safety requirements and the need to minimize on-going maintenance.